Beyond simply lowering starting costs, some lease plans build the cost of a year of service coverage into the final price and spread it across the full term of the lease. This provides a year of lower payments before having to use any of the funds normally set aside for equipment upkeep. Here, get an average figure of what your monthly payments might be to lease a GE Optima 600 under our most frequently chosen lease terms. An Optima lease over a 60-month term is the agreement the majority of buyers we work with prefer. 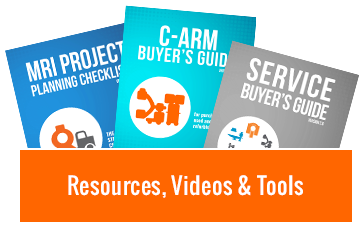 Breaking up the cost into so many payments lowers starting costs and helps your upgrade happen sooner. 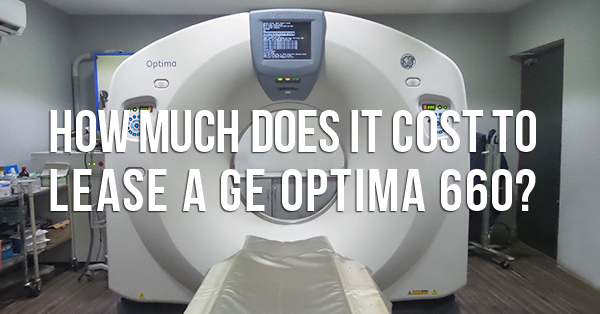 Right now, 60-month payments for a GE Optima 660 are about $4,500. That payment price doesn't include service coverage, but adding that in is still manageable. We suggest any CT scanner have some form of service coverage. Regular maintenance is essential to guaranteeing high system performance. It's also true that repairs and new parts will eventually be an expense. A new X-ray tube or detector array, for example, can be very pricey to cover yourself. With coverage, however, that expense, and others are taken care of for you. A 60-month lease term pushes starting costs down even further by breaking up the price of the first year of coverage across the full term as well. The monthly cost for the first year of service on an Optima 660 is around $2,000. If purchasing an Optima 660 outright with its first year of service is beyond your budget, this plan makes your upgrade happen for approximately $6,500 a month.